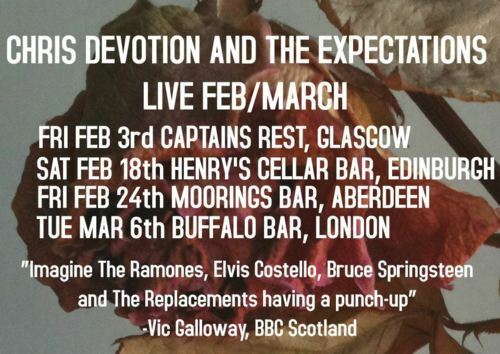 Fresh from their recent BBC radio session on the Vic Galloway show - listen to it again HERE - Chris Devotion & The Expectations are launching their bona-fide awesome debut album this week in Scotland’s capital city. 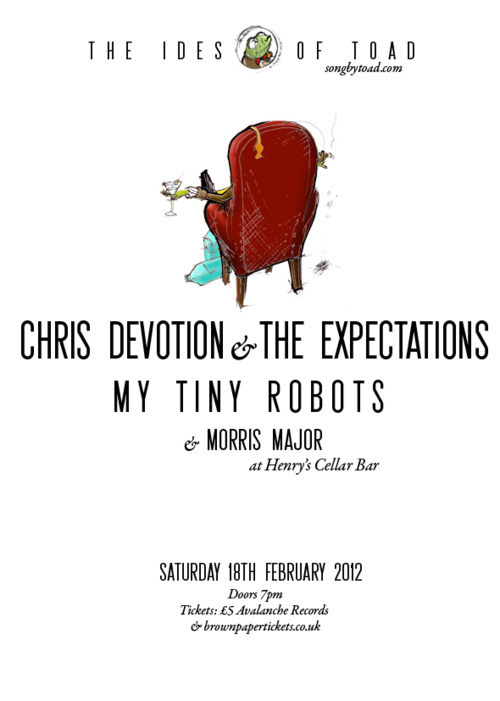 They will be supported by Edinburgh’s My Tiny Robots and Edinburgh-via-Manchester band Morris Major. Mr. Toad had this to say on proceedings, "It’s all very indie, this lineup, with plenty of catchy guitars and eminently hummable choruses and should be great fun." So there you go, head to Henry Cellar’s for some raucously bad fun on Saturday night!